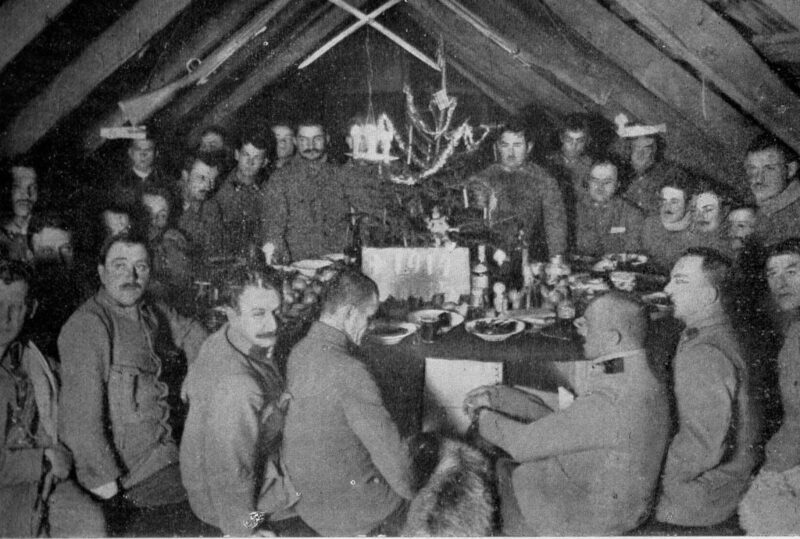 New Year’s Eve party of Polish Legion 2nd Brigade, Carpathian Mountains, 1914. Public domain. 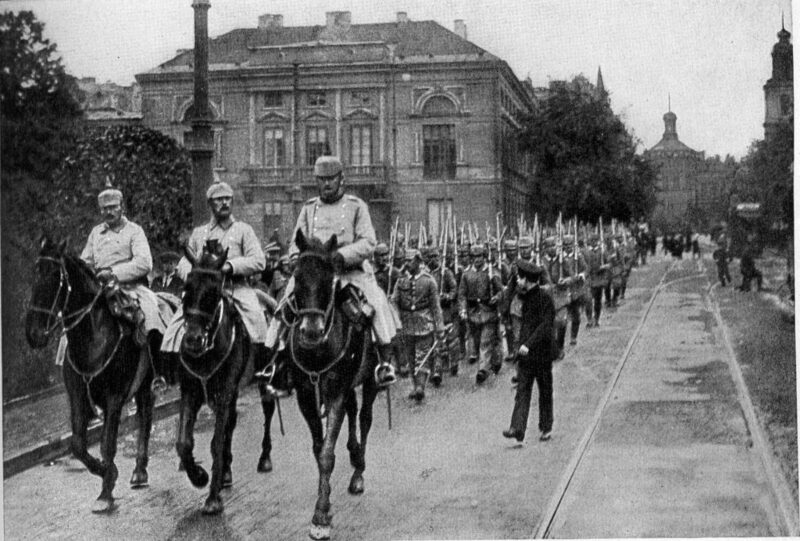 German troops at Krakowskie Przedmieście in Warsaw, summer of 1915. Public domain. In the West, the luminaries of Polish culture actively lobbied in the favor of the “Polish question.” Ignacy Paderewski collected money for the victims of war on Polish soil and persuaded Western politicians to support the idea of ​​Poland’s independence. As a result of actions taken by Paderewski and others, Woodrow Wilson, the president of the United States (which joined the war in April 1917) began to favor the Poles. 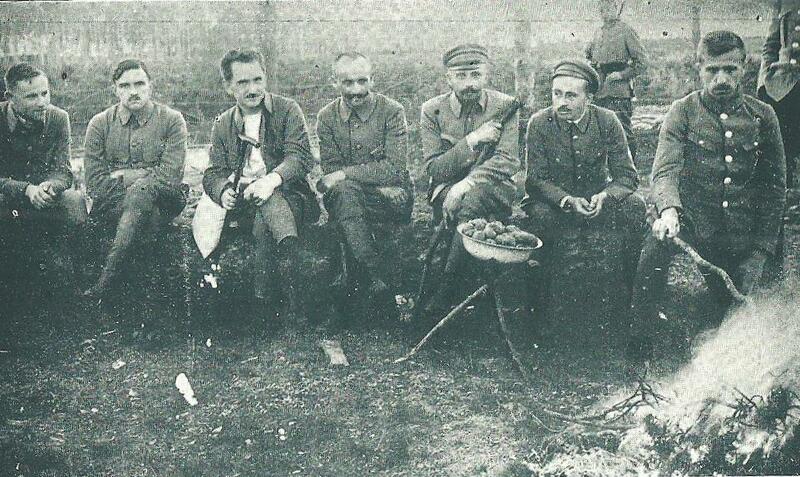 The demand for Poland’s independence was soon recognized by other Triple Entente leaders as well. 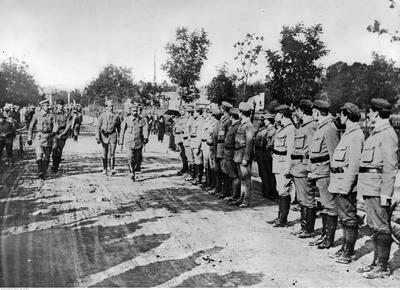 In France, consisting mainly of volunteers from the Polish community, the Polish Army (Blue Army) was formed. 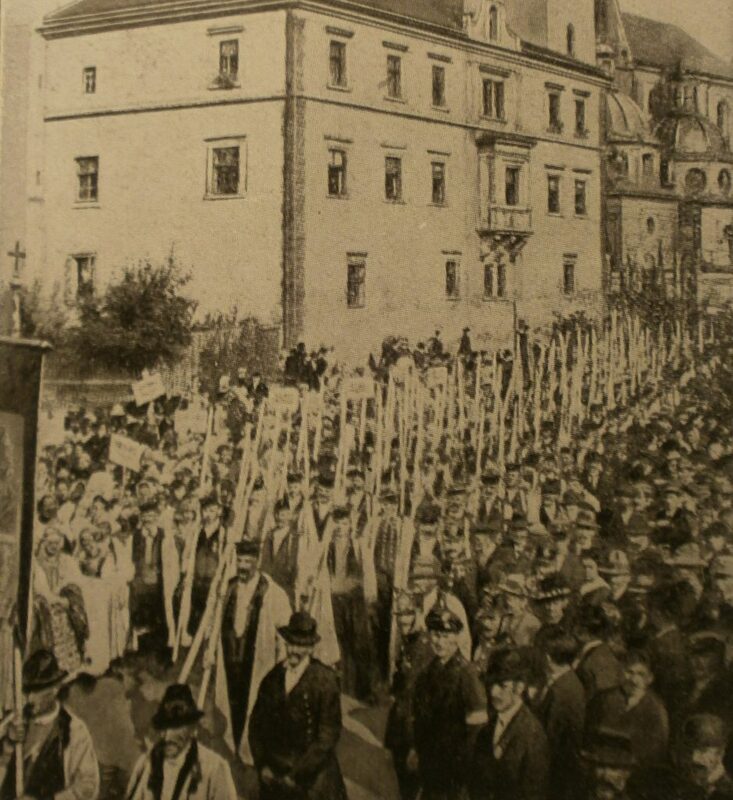 Protests against the Treaty of Brest–Litovsk, Kraków, February 16, 1918. Public domain.